Randell, R., Cornet, R., McCowan, C., Peek, N., Scott, P.J. Over recent years there has been major investment in research infrastructure to harness the potential of routinely collected health data. In 2013, The Farr Institute for Health Informatics Research was established in the UK, undertaking health informatics research to enhance patient and public health by the analysis of data from multiple sources and unleashing the value of vast sources of clinical, biological, population and environmental data for public benefit. The Medical Informatics Europe (MIE) conference is already established as a key event in the calendar of the European Federation of Medical Informatics (EFMI); The Farr Institute has been establishing a conference series. For 2017, the decision was made to combine the power and established reputational excellence of EFMI with the emerging and innovative research of The Farr Institute community to create ‘Informatics for Health 2017’, a joint conference that creates a scientific forum allowing these two communities to share knowledge, insights and experience, advance cross-disciplinary thinking, and stimulate creativity. This book presents the 116 full papers presented at that conference, held in Manchester, UK in April 2017. 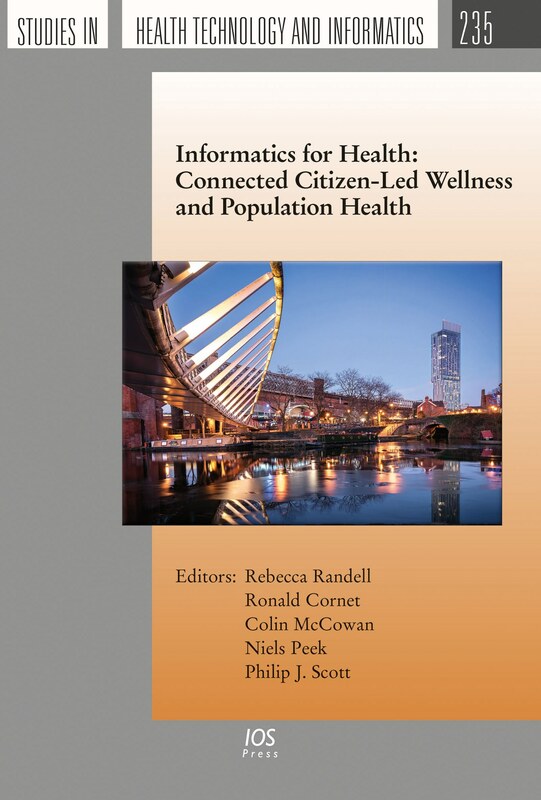 The papers are grouped under five headings: connected and digital health; health data science; human, organisational, and social aspects; knowledge management; and quality, safety, and patient outcomes, and the book will be of interest to all those whose work involves the analysis and use of data to support more effective delivery of healthcare.